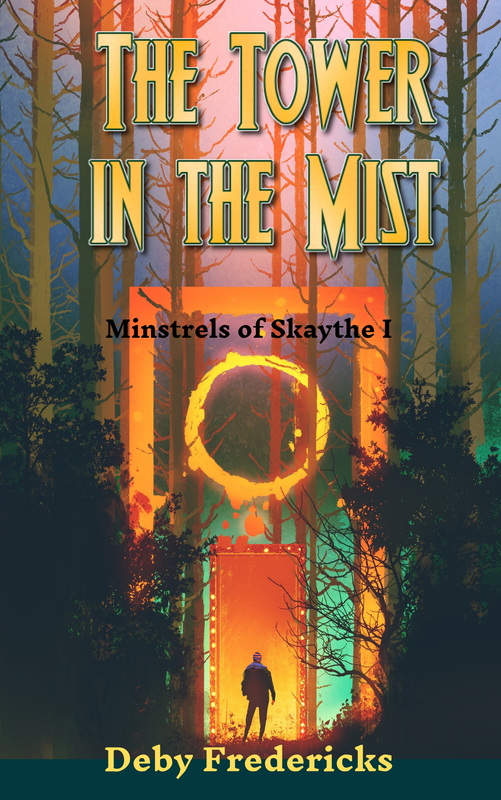 One of my good friends, Charles E. Yallowitz, has kindly agreed to let me do a guest spot on his blog, Legends of Windemere, about my brand new novella, The Tower in the Mist. But it’s only fair I return the favor, so here is Charles with his own new book, War of Nytefall: Rivalry. With a full cast of vampires, this book is sure to please all you goths out there. Welcome, Charles, and take it away! an ancient rumor will reveal herself to be a deadly legend. Get War of Nytefall: Rivalry on Amazon for $2.99! Add it to your Goodreads To-Read Lists! Here it is — the cover you all helped me fine-tune! The Tower in the Mist is getting closer to its publication date, on May 1st. There’s even a pre-order link if you are so inclined. Mages vs. Warriors vs. Giant Badger vs. Tyranny! Zathi’s job is to capture renegade mages, but Keilos isn’t like any other mage she’s dealt with. Her drive to bring him in only leads them deeper into a cursed forest. Together, warrior and mage will face deadly beasts and grapple with decisions that compromise every principle. Until they stumble upon a place of ancient, forgotten magic. Zathi must choose — allow Keilos to claim it, or kill him once and for all. Next step? I need to set up publicity and blog visits, and so I once again call on you friends for help. Some of you will soon receive e-mails asking about a visit to your blog, but I’d also love any ideas you have about other blogs I could approach. All suggestions are welcome. I hope you’re all as excited as I am to visit the deep, dark Hornwood. Here’s that pre-order link again. I was lucky enough to be invited for an interview over at Dave Koster’s blog, On Writing Dragons. It’s up there now, so please take a look. Thanks so much to everyone who commented on my cover choices! I’m pretty much settled on Option 1, with perhaps the subtitles moved around. This description packs a lot in, but it may go on too long. My question, bluntly put: would you want to read this book? If not, what would tip the balance? As ever, I look forward to your advice. One of you sharp-eyed readers also noticed that I’m still trying out variations on the series title. The gist is that these people live in a world after the evil overlord, Dar-Gothull, has triumphed. The mages are trying to bring back hope, and this makes them renegades. Their powers are based around light, hence I’ve been calling them Light-Bringers, but that title has already been used for a couple of recent series. They travel in disguise as a troupe of minstrels. The name of their land is Skaythe. They spend a lot of time in a dark forest called the Hornwood. So I’m boiling it down to Minstrels of Skaythe or Minstrels of the Light. I’ve talked about prophecies that are a Fake-Out — that is, a prophecy is given and does come true but in an unexpected way. But let’s not pretend, there can also be stories where the prediction is just outright False. Maybe the “seer” is a con-artist, issuing prophecies that get clients to give them money somehow. Maybe the “oracle” is more interested in pleasures of the flesh, and will tell a succession of lovers that they are “destined” for each other. False Prophets, unfortunately, have lots of usefulness for governments and institutions. A regime facing unrest might receive a “prophecy” of war if the Beloved Leader is questioned. Or a televangelist might proclaim that “God will take him home” unless a certain amount of donations are received. Someone might even (shudder) foretell that the world is ending and persuade their followers to drink poison. As writers, we have rich ground to explore with a False Prophet. The evil seer who predicts the death of a rival — and then hires assassins. The wealthy merchant who always receives the best prophecies money can buy. Or the person of good heart who fudges their prediction in order to help someone out. My prediction: fantasy authors will continue to write about Destiny and those who tell it for many years to come! My current Writer Problem. What did I do about it? I got to work on the story I dreamed about, of course! I don’t often base whole stories on dreams. Once you wake, things that made sense in the dream just seem weird. In this case, my dream offered an image that solved a plot problem. I needed a specific way my character would move her hands and shift posture while casting spells. That’s what I dreamed about. Guess I’d better give my brain a kiss!